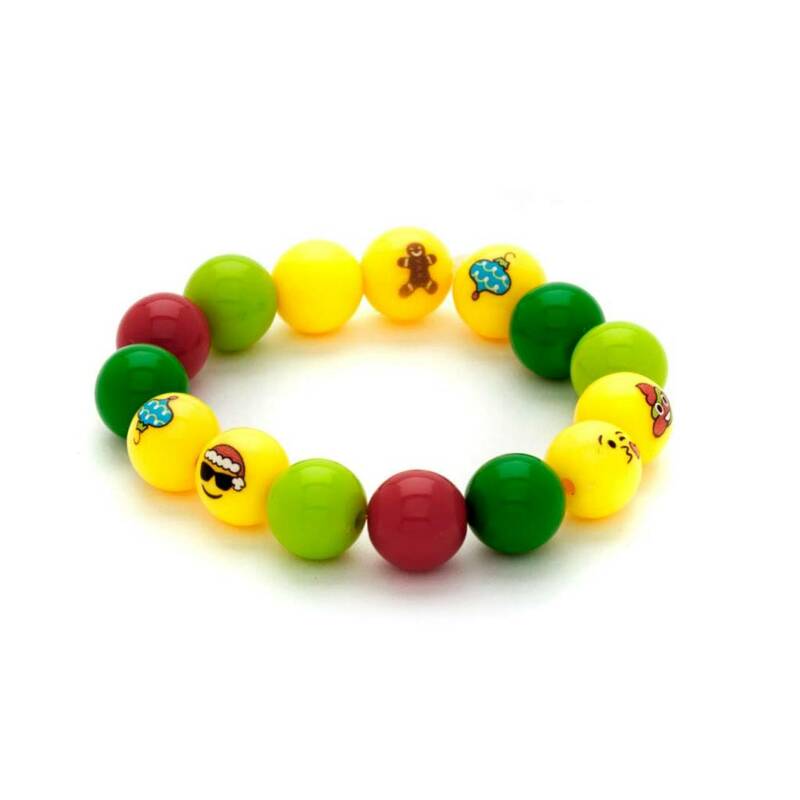 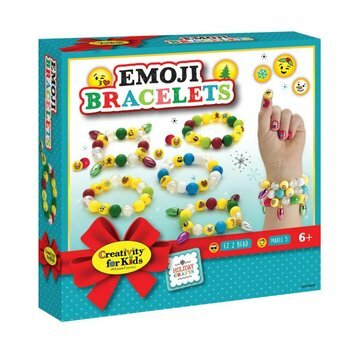 PLENTY OF EMOJI BRACELETS TO WEAR OR SHARE: Makes 5 colorful emoticon holiday themed bracelets that are great to wear or share with friends! 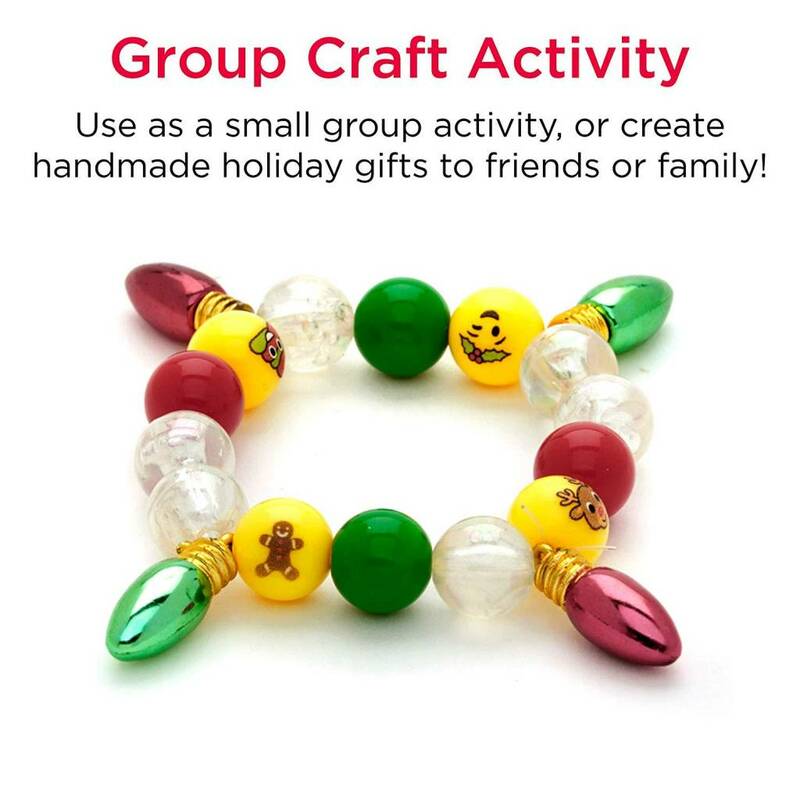 Gift your friends a handmade holiday jewelry piece that add festive flair to any outfit. 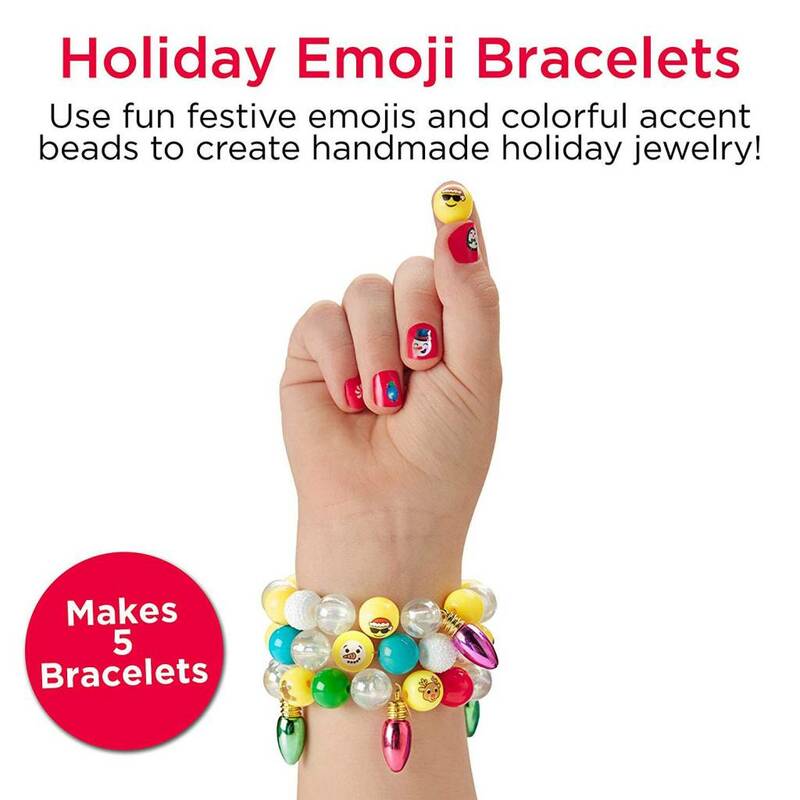 MAKE HOLIDAY EMOJI BRACELETS: Create festive jewelry for the holiday season! Emoji bracelet kit includes holiday emoji beads, sparkle and metallic accent beads and colorful spacer beads to match your mood, or your outfit - all holiday season! 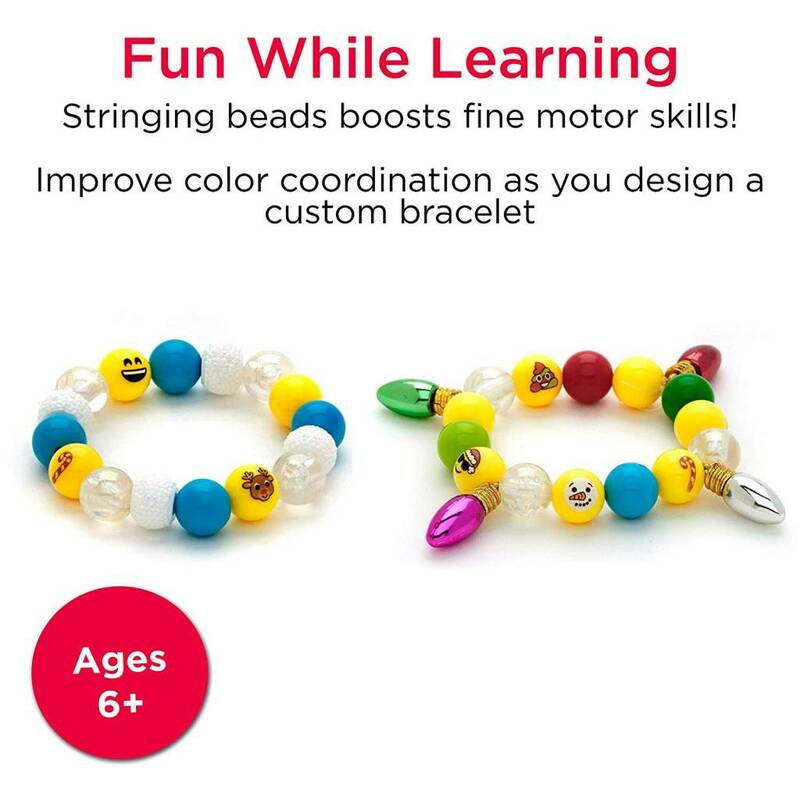 CREATIVITY FOR KIDS: Since 1976, our open-ended craft products offer fun-filled opportunities for children to create, learn, pretend and explore. 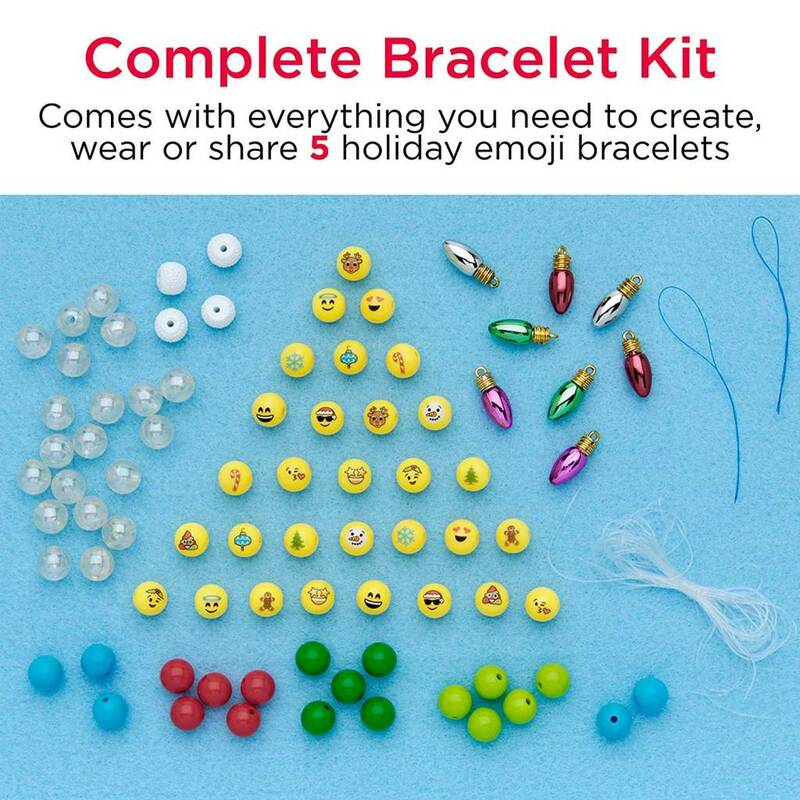 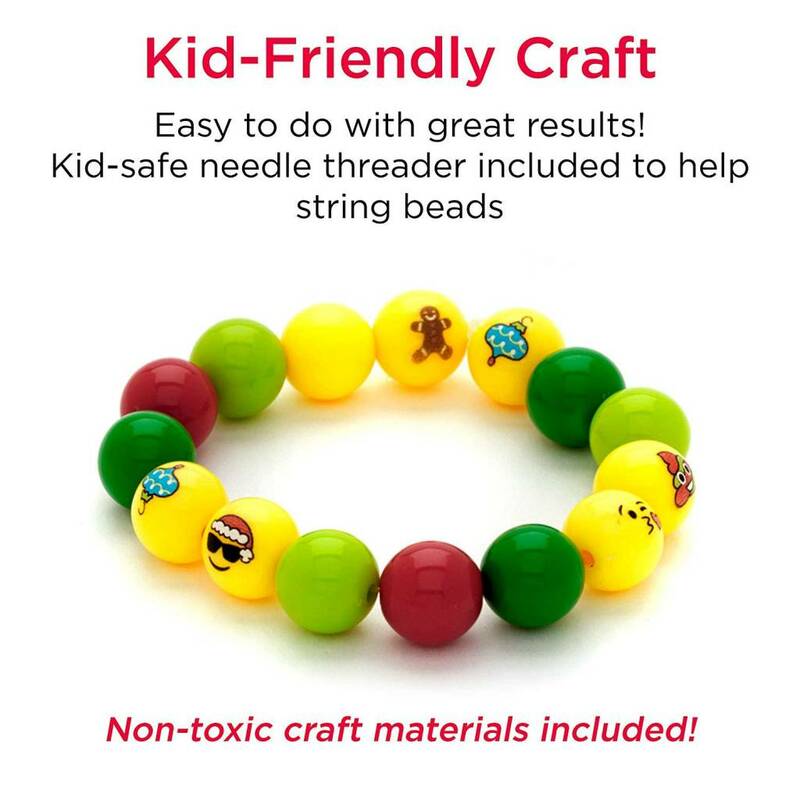 This holiday craft kit contains kid-friendly and non-toxic craft materials.